Last week, the fine crew at Local Connections Halifax put together another fantastic event that showcased the craft beer and food scene here in our great city! Needless to say it was a smashing success and tickets sold out for the event months ago. If you were one the lucky 400 or so people to grace the Halifax Club last Thursday you know what I'm talking about. From our camp we had two horses in the race, The Brooklyn Warehouse and our little brother Ace Burger Co. The rooms were divided by theme and had food and beer pairings coming outta the smokestacks! Chef Mark Gray put together a warm lobster salad with caramelized white chocolate, pinenuts, espresso balsamic, carrots and parsnip. We were sending guests over to pair it with North Brewings "Saison du L'Acadie" for a serious taste explosion. On the Ace Burger Co side we had our main man, Chef Andrew Prince doing his amazing Currywurst Sausage done with his house-made curry ketchup. This little gem went great with pretty much everything is house and was perfect to strut about from room to room, tasting all the beers. Check out some shots below of us doing our thing. And much love to all involved! 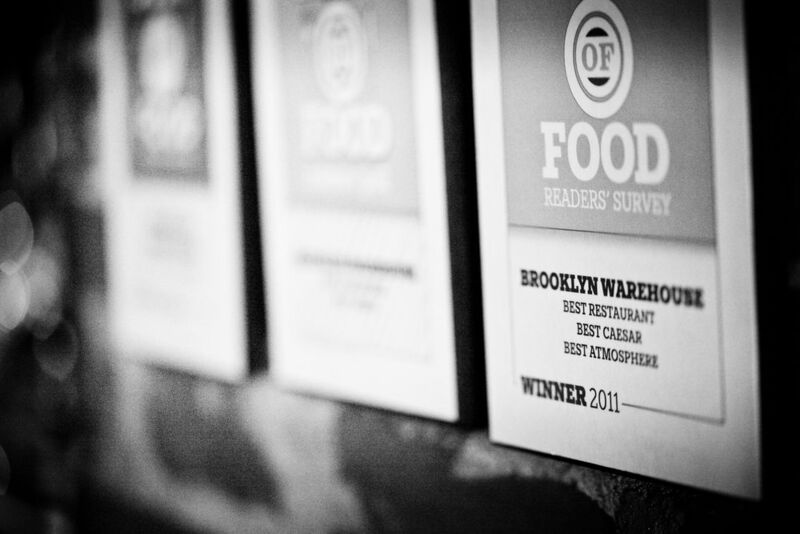 The Brooklyn Warehouse named Best Restaurant of the Year!